A new report from KLAS shows NHS data sharing to be cumbersome and disruptive to clinical workflows in England. As the U.S. healthcare system continues to grapple with interoperability challenges, working from all angles to address them, it can be illustrative to check in with our closest ally – which is also striving to improve its information exchange capabilities. A pair of recent studies shed some light on some ways England is dealing with data sharing. With the UK eHealth Week underway, KLAS issued its report interoperability within NHS. "Today, a substantial amount of patient data is being shared within the NHS, mostly via 61 local shared records across England," according to researchers. "However, much of this sharing is limited in breadth and cumbersome in nature since it falls outside of the clinician workflow." That means "ideal interoperability," which KLAS defines as "consistent access to needed outside patient information in an easily located and viewable place within the care record," is harder to achieve across the national system. "Just over one-quarter (26 percent) of organizations report having no means in place to electronically receive outside patient data (with the exception of faxing and core NHS Spine services)," researchers said, with acute care settings accounting for most of that gap. In polling NHS providers, KLAS found three major shortcomings in the England: Exchanged data is unstructured (25 percent); cumbersome formatting (20 percent) and key data is missing (17 percent). The report offers some interesting insights into the ways that shared data is accessed and displayed within clinicians' workflows. Almost one-third of the health systems polled (30 percent) display data from other providers "within the care record's fields or on a separate tab," according to KLAS. "Another third (35 percent) use portals to display data from other care providers; this represents the broadest type of data sharing going on today." But those portals "don't fully meet clinicians' desire to have patient data integrated into their normal workflow," the researchers wrote. "Even those organizations with full integration don't meet all clinician needs since their use cases are limited to ingesting results or transferring data from one GP to another who uses the same supplier." The KLAS report shows that the biggest advances in interoperability have occurred within the NHS' five-dozen or so Local Care Record initiatives. "Though still early, LCRs are aggregating data from numerous sources and presenting it to clinicians – usually via a separate portal," according to the report. 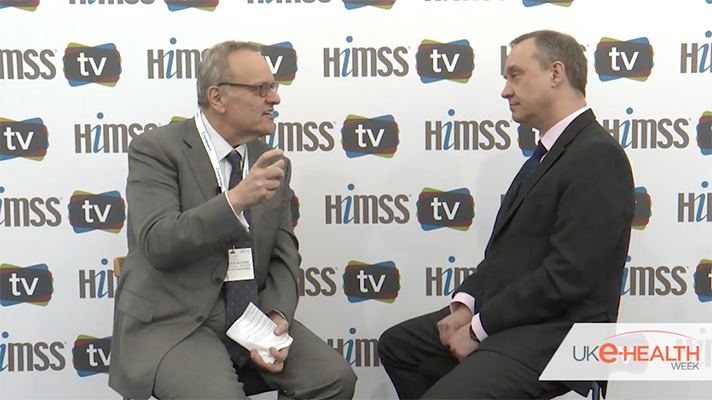 "InterSystems and Cerner are the top performing HIEs thanks to the relative ease with which they can connect disparate data sources and their ability to share information between care settings. Although feedback is early, other solutions aren't as highly regarded, yet most outpace nearly all patient record suppliers in terms of customer ratings for the suppliers' support of interoperability." Despite the state of interoperability in the UK, a more basic challenge may be that many patients don't trust health organizations to keep their data safe, and are wary of sharing it. The 2018 Veritas Global Data Privacy Consumer Study released this week asked 1,000 UK consumers about their thought on personal data and found that 47 percent of them wouldn't consent to sharing details of health or medical records – suggesting that whatever hope there might be for patient-mediated exchange to be one way to spur interoperability could face some hurdles. More generally, the consumers said their trust level was low that businesses and healthcare facilities are able to protect their personal data. The survey pointed out that with new EU regulations such as the General Data Protection Regulation, which is set to go into effect on May 25, consumers are keeping close watch on how their data is handled by third parties and plan to hold them accountable for keeping it safe. Nearly eight in ten of those polled by Veritas (79 percent) said they would tell their friends and family to boycott an organization that wasn't able to safeguard their personal information; 74 percent said they would report the organization to regulators and 60 percent said they would post negative comments about it online. "Trust in businesses has been eroded by breaches and high-profile cases where firms have shown a lack of understanding of how the consumer data they hold is used or shared," said Tamzin Evershed, senior director and global privacy lead, Veritas. "As consumers demand more transparency and accountability from businesses, the 'new norm' will see consumers rewarding those organizations that have good data hygiene practices in place while punishing those that don't."